We all have our Jordan river to be crossed. What is it , your Jordan? Sickness, Family’s feud, disability, financial breakdown, or even intimidation and temptations from the evil that have tied us up to sin? 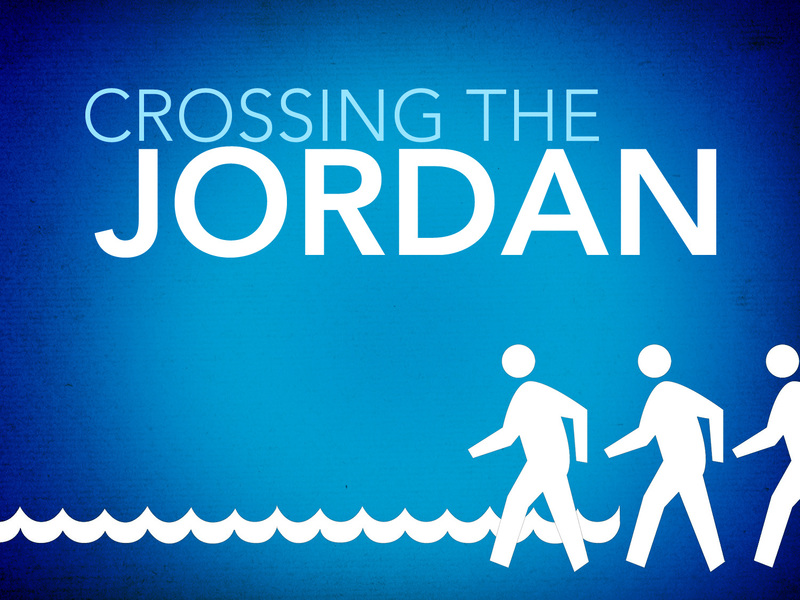 Whatever our Jordan River is, we can cross it by our self. with bloody efforts, but when we let God lead us in crossing it, we’ll see how He will cut off the waters in between for us to cross over easily. I will underline some of the words of the verses to highlight a really important keywords that are really strengthen me. We’ll need God’s strength to cross the river indeed, but there are several responses that God needs from us. Early in the morning : We will indeed be prepared with His strength and grace but God needs us to have a “preparations heart”! Joshua set out early in the morning because he prepared himself for a battle of faith wether they will cross the Jordan or not. He is a faith-FULL man, but that didn’t make him underestimate things, having faith that God will do something shouldn’t make us “late”, but even prepare more of our heart by early in the morning! Went : Walk straight with a bold and faith-FULL heart. Sometimes we worry and fear too many things before we set our foot. So step ahead and just set out, God will lead you along the way, He will show you the way to victory and the other side of the Jordan. He couldn’t lead us if we don’t step forward. Camped : Don’t rush! Pray for everything in thanksgiving (Philippians 4:6). If we want to rush, then rush in saving souls, but don’t rush in crossing our Jordan, ask for God’s guidance, as i said before that He will show us the way. God’s covenant for us doesn’t always means to rush everything. Just keep walking in God’s presence, we’ll be there in time. Just like how God really helped me with my eczema just in time, just perfect in time for everything – for my pre-wedding photo shoot, my wedding day and everything. Never walk forward before we could let God walks ahead of us. Even if it’ll need 3 days, then wait for 3 days. Until we’re able to humble our self and let Him take the lead, then walk. See : Start seeing everything as God’s grace for us. Give thanks for everything, as there is none we have that we deserve. When we’re still breathing, know that every breath is God’s, it is not just automatically happened. It is His grace that we’re still breathing and even doing things. See, so we could understand His heart for us. Move out & follow : There are times where we need to move out of the box. The box that’s filled with our demands, struggles, fear and worry and start following His will. When all we do is demanding, we are not giving Him space to speak to us. Be still and have a safe feeling in Him. God wants us to rest in Him. Then we will know which way to go, since we have never been this way before. God will not let us alone in any of our way. Keep a distance : It doesn’t mean to keep distance with Him. Because only in His presence, The God of peace and joy, we could be still and find the greatest treasure that’s better than anything. But to our eyes to see His plans in a distance so we could see clearer and it is overall seen. Don’t set our eyes in just the present, set our eyes to a greater glory ahead from what we are facing today, will bring. Just like if we put a pencil up in front of our eyes, we can’t see the pencil in a whole, all we could see is just the blurry pencil’s color, but when we put the pencil in a precise distance, we’ll see it in whole. Lessons from Joshua : I learned a lot from Joshua on these verses. The underlined on verse 7 is when God said to Joshua that “I will be with you (Joshua)” – but let see what Joshua said to the people about it on verse 10, Joshua said that “God is living among you (Israelites / his people)” . What a great leader he is! First lesson form Joshua, Even when God spoke to Him directly, it didn’t make him boast about himself that is anointed. Second lesson is that how he took his people to his heart, he is no longer Joshua, he is Israel – he is his people. So whatever happened to him, happened to be to his people also. Go and stand in the river : Notice that it’s written “when you reach the edge of the Jordan’s waters,” – How many of us give up right when we are in the edge of our struggle? When it seems to get hard and impossible? God’s never late! Even when our foot are at the edge the waters and nothing seems to happen with the waters yet, GO and STAND in the river! This is how you’ll know that The Living God is among you : Do you know why God loves the impossibilities? because then we can not boast about any of it, and for us to know that He is the living God and He lives among us! He gives us a reason to not fear anymore, for we would see what He has done. The covenant went ahead of them : The Holy Spirit will walk ahead of us leading us to the right way in everything we do and every step we take – even when we take the wrong way, God is like a GPS – He will recalculate our way and lead us back to His way, so no fear for He is an amazing God. Just set our eyes and heart to Him. Flood stage all during harvest : The Jordan’s waters are at flood stage. I’m pretty sure it was horrible, the high and strong waves could possibly threatening. Is your Jordan at it’s flood stage? Whatever the stage of struggles you’re facing, know that He is God – and nothing could stop Him when His hands are stretched. Edge of the waters : And when God touches our water’s edge, our struggle will only be stopped flowing, piled up in a heap a great distance away and completely cut off. So God will lead us in crossing over to the opposite. Isn’t He a great God? There is nothing, and nothing is impossible for Him. When He could really stopped and cut off the Jordan River 2,000 years ago, then He is able to lift us up from whatever we’re struggling. The whole nation had completed : He is a faithful God. He is patient through all of us, men. No matter how much we have disappointed Him, He is faithful and patient until we have completed crossing it.